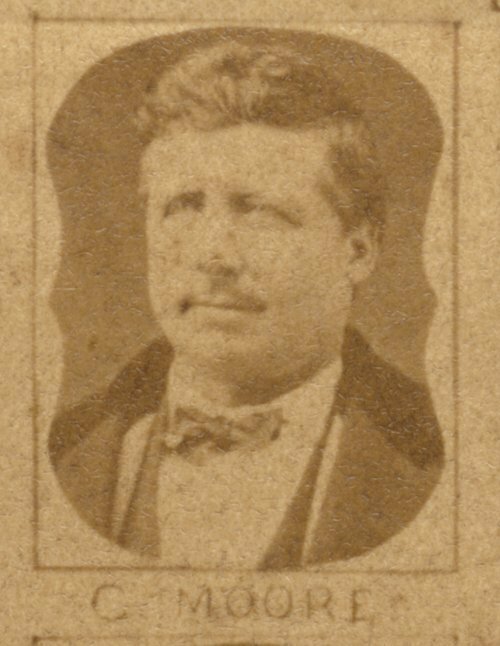 This is a photograph of Crawford Moore copied from an 1875 legislative panel. He was a member of the Reform Party and was elected to the Kansas House of Representatives. Moore was from Tonganoxie, Kansas, and served District 25 in Leavenworth County.